Steel Grade: A, B, X42, X46, X52, X56, X60, 16Mn, ST37, ST52,p195tr1,p235tr1,p265tr1,p195tr2,p235tr2,p265tr2. Condition:Each pipe with plain ends or beveled ends. Other Requirements:Additional requirements such as bending,flattening test, hydrostatic tests and nondestructive tests as required by API 5L specification are acceptable. 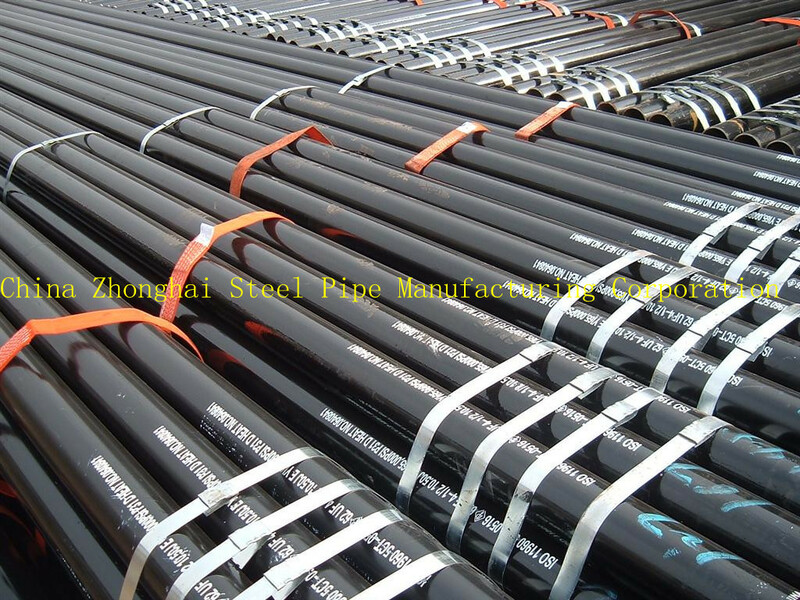 Workmanship, Finish and Appearance:All steel pipe of one batch are be of alike quality,without cracks,or other injurious defects. Certificate:supplying a test report showing results of test specified in API standard. Packaging and Protection:Material are be separated by size,composition, grade or class and be preserved and packaged seaworthy. Application: Low, medium and high pressure boiler, transportation for gas, water, oil and natural gas, tubes for heat exchanger and chemical fertilizer equipments, for hydraulic pillar service etc.